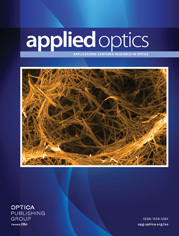 1The authors are with Optics and Molecular Materials, Helsinki University of Technology, P. O. Box 3500, FI-02015 HUT, Finland. M. Hautakorpi's e-mail address is Markus.Hautakorpi@tkk.fi. We investigate the occurrence of self-images, or Talbot images, in a spatially multimode field that propagates along an optical fiber whose core has an annular-shaped cross section. By use of full-vectorial modal analysis, we study the effect of the transverse fiber dimensions on the self-imaging properties. According to our analysis, good self-images can be expected when the fiber core is thin and the modes are far from their cutoffs. However, as the core diameter is made larger to increase the number of modes available in the imaging, the general self-imaging properties tend to deteriorate.